We’re fast approaching Baby Bee’s arrival date so we’ve been spending a lot of time thinking about the nursery and how to make the most of the space we have. We’re really lucky in that we have two spare bedrooms, one larger room and a little box room. We’ve planned to use the larger room as a playroom and the box room as the nursery, which as the little one grows up and we add to our family they will move on from the nursery into the playroom. As you can probably imagine, the box room is little. So we’re having to come up with some clever solutions to ensure we have everything we need, with enough space to actually move. I’ve collaborated with Boori* to share some of our space saving ideas and nursery inspiration. Of course you’re going to need a cot, wardrobe and chest of drawers. But let’s be honest they themselves take up so much room so utilising the space inside them is vital. Drawer dividers will help you keep bibs, muslins, nappies, creams and socks, to name a just a few things, organised and tidied. For inside the wardrobe, you can put storage boxes in the base for sleep-bags, blankets and bulky snowsuits and coats. I’m also loving the idea of rail/clothing dividers for age groups so we don’t have to store too much in boxes.Though the older age group clothing that we’ve had donated already are being stored in clear plastic boxes under the bed, probably alongside bulk bought nappies and wipes! We’re also investing in hooks for jackets and to hang clothes ready for the next day. Am loving these ones I found on Pinterest. As for toy storage, well we all know children accumulate toys like they are going out of fashion. We’re very lucky in that we have a gorgeous old wooden chest to use as storage which I’ve up-cycled with chalk paint. I also really love these cute soft toy swings that not only are great for keeping toys tidy, but also look super sweet. Perfect for a animal themed nursery. As for the actual furniture Boori has a gorgeous collection called Urbane, which has been specifically designed for smaller spaces with a contemporary and modern design. 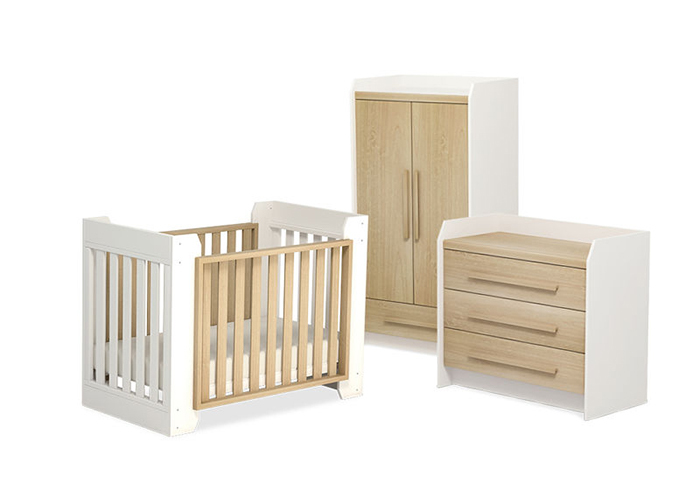 The six design collection comes in a range of styles and colours, comprising of cots/cotbeds, wardrobes, chest of drawers and dressers as well as a number of accessories to complete your nursery look. I think my favourite from the collection has to be Sunshine, specifically this utterly gorgeous chest of drawers. I love the top shelf which looks perfect for storage baskets to soften the look. I also love the two-tone effect on the Urbane Omni Transformer collection too. It’s such a unique look which I haven’t really seen before. What about you? 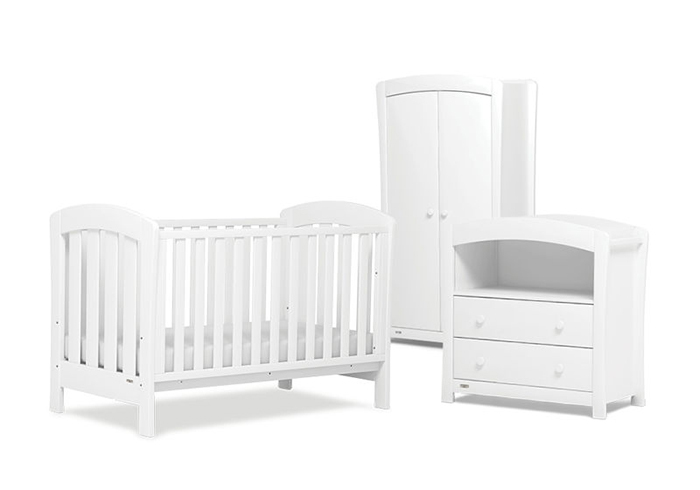 What storage solutions have you, or will you, be setting up for your little one? Share your little nursery ideas in the comments below, and you can see my ideas on my Pinterest boards. Thanks to Boori for collaborating on this post with me. "BABY: Our 4D scan experience"
"BABY: Pregnancy update – April – weeks 28-31"
Superb post however , I was wanting to know if you could write a litte more on this topic? I'd be very thankful if you could elaborate a little bit further.Thanks! This is a good tip especially to those new to the blogosphere.Simple but very accurate information� Many thanks for sharing this one.A must read post! Hi! This is my 1st comment here so I just wanted to give a quick shout out and say I genuinely enjoy reading your articles.Can you suggest any other blogs/websites/forums that cover the same subjects? Thanks for your time! Good day! I simply wish to offer you a big thumbs up for your great info you have got here on this post. I am returning to your blog for more soon. Woah! I'm really digging the template/theme of this site.It's simple, yet effective. A lot of times it's difficult to get that "perfect balance" between user friendliness and visual appeal.I must say you have done a great job with this.Also, the blog loads extremely quick for me on Internet explorer.Superb Blog! Hey dude! Just found your channel, looks great!Good luck to everyone else! I subscribed, liked, and I even shared it with 4 of my friends!Thank you so much! Hope I win! Cant wait dude! I seriously love your blog.. Great colors & theme.Did you make this web site yourself? Please reply back as I'm planning to create my own site and would love to find out where you got this from or what the theme is named. Appreciate it! Magnificent goods from you, man. I've understand your stuff previous to and you're just too excellent. I actually like what you've acquired here, really like what you are saying and the way in which you say it. You make it enjoyable and you still care for to keep it smart. I can't wait to read much more from you.This is actually a tremendous web site. Wow, awesome blog layout! How long have you been blogging for?you made blogging look easy. The overall look of your website is fantastic, let alone the content!